Radix Media’s Aftermath unites vastly different voices across cultures and experiences through their captivating and bittersweet expressions of pain. Crafted from fiction, nonfiction, poetry, graphic narratives, visual art, and photography, the collection explores grief at an emotional and logical level, showcasing the way that pain can both break and rebuild its victims. Individual stories touch upon experiences and hardships that often fail to receive mainstream recognition. From a fictional tale of an immigrant Iraqi family in “Baking Day” to “Now Live Through This,” a graphic narrative about a woman overcoming domestic abuse, the collection offers a poignant, intimate view of pain from the margins of society. The writing styles of each piece are vastly different, featuring first-, second-, and third-person narration and varying from lofty descriptions to direct, conversational prose. What unites each piece is the expressive evaluation of mourning, be it of a loved one, memories, or even freedom. Many of the tales focus on tangible losses, but others explore more abstract concepts like culture and liberty. The poem “Grammar School” develops a painfully beautiful exploration of the theft of culture and language. The poem intertwines English and Spanish words to showcase the tragedy and imminence of losing familial bonds and cultural heritage in a foreign country. Nonfiction stories like “The Mark” showcase the struggle of grieving for something that is seen as valueless. Silverman writes about her conman father and the relationship she struggled to maintain with him despite knowing the pain he’d caused and his inability to keep his promises. The story delves into the parts of grief that are rarely acknowledged, like the guilt of mourning someone that others are unable to sympathize with and the struggle to move on without social support. 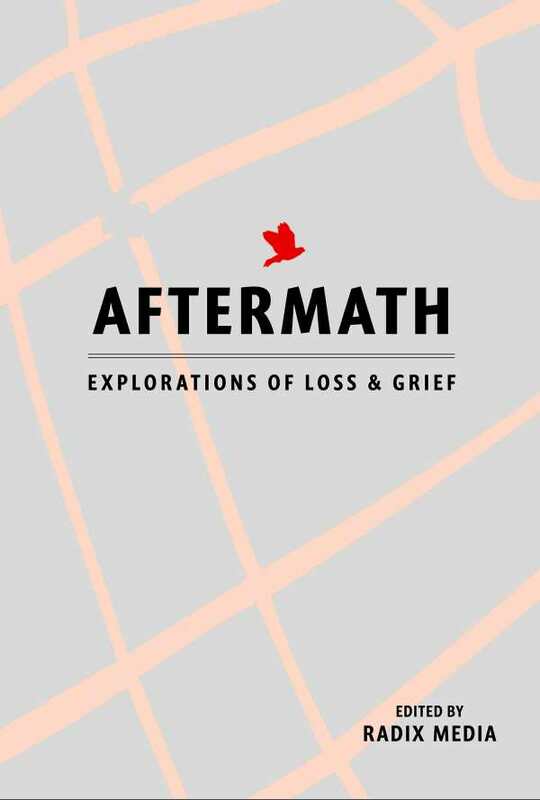 By melding together voices from different walks of life, Radix Media’s Aftermath exposes a deep, heartfelt, and widely encompassing picture of grief and the growth that stems from it.